: most electricity is used by business anyway. - Still don't agree with it. I think we should move away from responding , cos it lets them set the agenda. Todays new isn't that trhe G had 10 stories getting it wrong , cos they always get it wrong. - it's there standard technique is to get in a bit fat lie against skeptics first. "1. Hey those skeptics, they are big liars, paid by big corps"
When some BBC depts were secretly privatised and sold to Grantham/Greenpeace was the Guardian thrown in for free ? - I honestly don't know why you bother with it ...The Guardian is just some comic put out by a bunch of activists from the back of their squat. 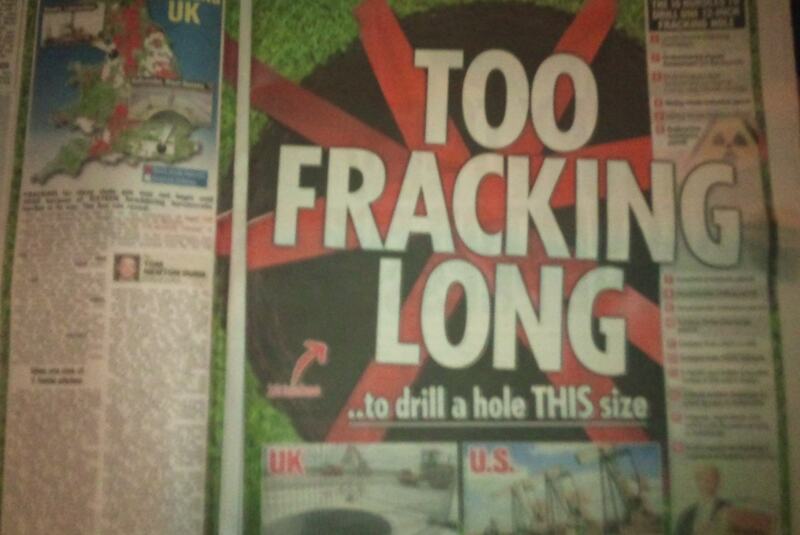 - The Sun with 8 million in sales, had a double page spread on Friday with the message "Get Fracking Now"
* BOOM - Geoff exposes : Celebrity Green Hypocrite of the Week etc. etc. "no significant change in the circumstances upon which the budget was set. In this regard, there is therefore no legal or economic basis to support a change in the fourth carbon budget." - They would be screaming like hell if temperature was rising at twice IPCC predicted rise. Now that it's not rising at anything like what they predicted that means there HAS BEEN a "significant change in the circumstances upon which the budget was set"
While the Fundamentalist 5% have almost 100% grip on the main stream media, their alarmism is unchallenged in the view of the public. I paraphrase what I saw on a warmist blog the other day "Wow those idiot deniers, their position is that oh there is a coming ice-age.. what a bunch of idiots. lah, lah, lah, they should not be allowed to mislead children"
..of course they are twisting by picking an extreme. Pauls expert actually said : "he risk of a period of harsh winters and unsettled summers in northern Europe and the UK has gone up from less than 10% a few years ago to 25-30% today." ..the prog webpage has a full page of background info - "Climate is heavily influenced by the sun", has been one of Paul's saying for a long time Tonight his prof friend will explain a correlation pattern between recent years and the introduction to other colsd periods like the Maunder Mininmum. (The trailer mentions coldest point at 2050) It's not that every summer/winter will be cooler, just that there will be more cooler than warmer periods. 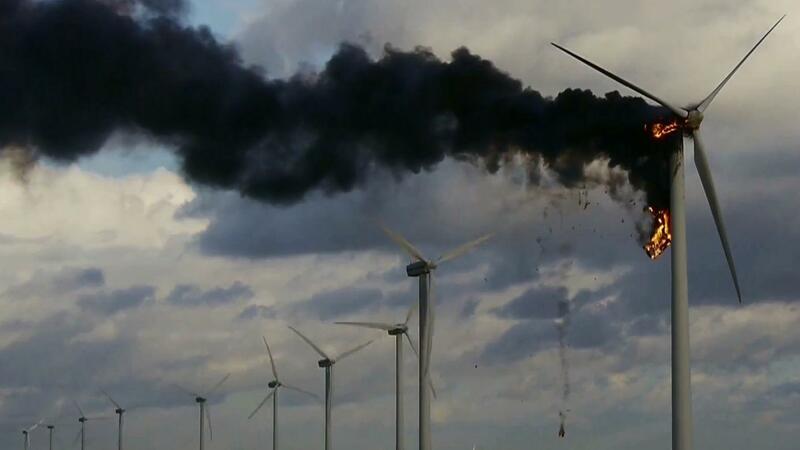 What tall things pollute the environment & make the sky black ? - Apart from DramaGreens photoshopping cooling towers steam photographed at dusk. someone says "She is fronting a massive Ponzi wealth transfer scheme, which takes money from the least well off and gives it to the richest, namely, banks, energy companies, stock exchanges and not least, governments. Meanwhile, the planet's temperature will be continue to be determined by solar activity, with a bit of geothermal in the mix." SCAM. Green House Effect slayed ? - 1960s DJs sleeping with young girls - untouchables, cos it's cool "everyones at it"
- 2013 Eco-corruption - untouchables, cos it's cool "everyones at it"
2. You know who finances Friends of the Earth don't you ? ..Yes You ! a substantial amount of their money comes from the EU The EU gives them money, which they then use to lobby the EU etc.